A: I was working as the Technologist [at Walker Art Center], so I designed and developed the entire website. 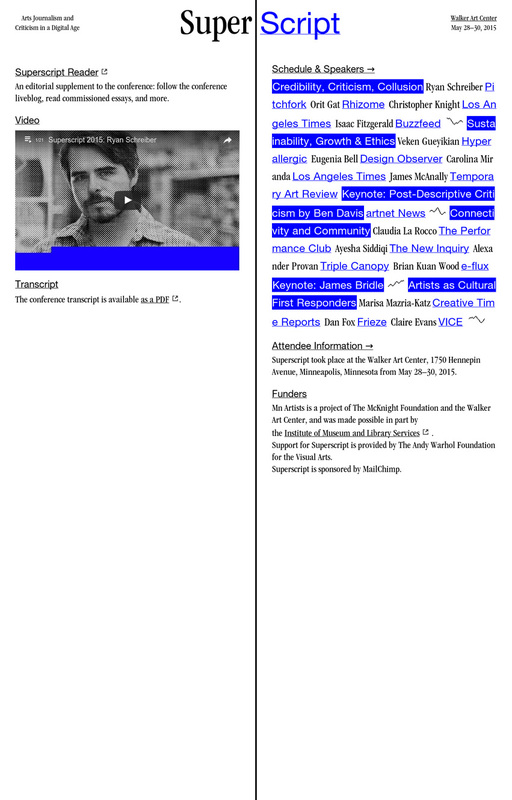 We wanted to merge the old school hypertext aesthetics of the web with the look of modern scrolling publishing platforms. Here's a blog post I wrote about it. A: I guess the editor I used then was Vim.